Lately I've been working on a web application that uses Google's Maps API. It's been an interesting and engaging project. One of the limitations of the current Maps API is that the z-index of a marker cannot be changed after it has been created. The client requested that the selected marker "popped to the front" as some markers obscured others in certain map areas depending on zoom and closeness of coordinates. This was a reasonable request and would enhance the UI, but was not so easy to implement. Mike Williams gives a good introduction to this issue and details of how to set the z-index of the marker when it is created with addOverlay() in his Google Maps API Tutorial. Having read this, I attempted to re-create each marker when it was clicked and keep track of the top most z-index. I had some success but had unpredictable z-index results and it was definitely an inefficient way to produce the desired effect. Use marker.setZIndex(Math.round(marker.getLatitude()*-100000)) to get a moved marker to overlap correctly. Even though setZIndex() and getLatitude() are not valid methods in the current API, it's easy to understand the calculation. In my application I was already using a unique icon for each marker so that they displayed sequential letters (A,B,C...) and had added an index property to the marker object. I was able to leverage this with a bit of jQuery magic to find each icon in the DOM and alter the CSS z-index value. Since the default z-index is something like -108619296, I created a function to toggle the z-index between normal and front positions by multiplying it by -1. Just to make sure that no other marker was still in the top position, I looped through my array of markers and reset the z-index with this function. Obviously none of this is a copy+paste solution. but it should give anybody needing to manipulate Google Maps MAP Marker z-index a good example to work from. Earlier today I installed a WordPress plugin recommend for tracking the popularity of posts. The plugin is unsurprisingly named "Recently Popular". After installing the plugin I ran some quick tests and found that I was getting extra hits recorded. I spent a bit of time back-tracking to find the source and after systematically disabling all other plugins and page elements found that it was firing in wp_head() in the page header. After some more digging, I noticed that the extra hit was for the chronologically next published post and that the problem occurred in both WordPress and WordPressMU. This wasn't making a lot of sense so I decided to try a different browser - more of a sanity test than anything. That's when I found it didn't occur in Chrome, or Opera - just Firefox 3.5.6 that I'd upgraded to a few hours earlier. I fired up the Live HTTP Headers add-on and checked out the requests Firefox was making. It was definitely making both post requests. I took a closer look at the second request and noticed the extra header "X-Moz: prefetch". I am unaware of anyway to disable the prefetch hints. You could edit your header.php and remove the wp_head() statement, but many plugins rely on the execution of this function so results could be unexpected and undesirable. The issue for me was not that the hint was published but that the prefetch hits were being counted as real post requests, as well as the actual request when I clicked through a second or two later. This would seriously skew the perceived popularity of posts. My solution was to ensure that the Recently Popular plugin ignored post requests that passed the "X-Moz: prefetch" header. Depending on your server configuration, the method of checking the header exists may differ - apache_request_headers() (alias getallheaders()) is only supported when PHP is installed as an Apache module. Most servers should support checking for $_SERVER['HTTP_X_MOZ']. I wonder how many other people will wonder why their page hit stats have mysteriously increased without any increase in ad impressions, etc. I will contact the plugin author to suggest an update once I've published this post. Lately I've been working on a webapp for the Motorola Droid and a QNX CAR device. The application interface is a split screen with one half being a list of items of variable length. 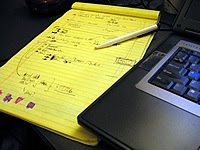 Neither of these browsers on these devices support iframes or scrollable divs, so the approach used in a traditional browser was not an option. The application was using jQuery, so using the jQuery UI Draggable plugin was a natural choice. It was quick and easy to implement and worked well on the QNX device, but didn't work at all on the Android browser. At the time that I write this, there's not a lot of information about how to deal with this issue in the Android browser. It took me a while to discover that this issue is also a problem for the iPhone/iPod Touch browser and since Android's browser also uses WebKit, there is already a working solution called iScroll developed by Matteo Spinelli on Cubiq.org. Hopefully posting these bits and pieces together here will help save somebody a lot of time searching on Google. I like Skype. I use it everyday. Most of the people I need to communicate with are Skype users. Skype handles chat, voice and file transfers to individuals and groups, and one-to-one video-chat, and allows you to cheaply connect to real-world telephony and SMS too. I'd have to say I am a bit of a fan. The only annoyance I have found is that when I reboot my PC (which is not that often), Skype starts up and grabs port 80 before my XAMPP install starts. This means that my local XAMPP Apache install fails to start. In the past I've been forced to quit Skype, start Apache and then restart Skype. No big deal, but a little annoying. Yesterday I had a closer look at Skype's Advanced Settings and found this problem can be resolved by simply unchecking the "Use port 80 and 443 as alternatives for incoming connections" option and restarting Skype. Simple stuff, but I though it was worth posting. In theory JSON is easy to parse, but if your data structure starts to contain numerous nested objects and arrays, it can be come hard to keep track of and starts looking like a long jumble of punctuation. I found Brenton Fletcher's JSON 2 HTML to be a quick and easy way to check your JSON syntax and visualize the data. You can either copy+paste a JSON string or sumbit a URL and the will page load the JSON string from the URL. It's definitely worth checking out if you're working with JSON. There are so many media format in common use these days that it's difficult to keep up with them, not just with when and why to use each format, but also being able to read them or convert between them. Lately I found the need to convert a couple of different file formats that Windows isn't natively strong with. If you've ever tried to track down a codec for a slightly different format, then you'll know how annoying and confusing it can be, especially when you want to export to another format. There is one tool I have found to be very useful in this area, and it's a great piece of freeware. The name of the application is "SUPER © Simplified Universal Player Encoder & Renderer". Hey, Where'd My Space Go? Recently I was doing some routine stuff when I noticed the was a LOT less space on my main hard-drive than I expected. I was down to less than 500MB of space! I remember the days when I was smug about having a 30MB drive when the guy working on the next PC only had a 20MB drive. It's hard to believe in this age of relatively gigantic drives we can still fill them up without too much effort. I guess we can put it down to the ever increasing filesizes driven by higher pixel counts of digital cameras, the recent epidemic of software bloat, and the invention of peer-to-peer file sharing. I needed to free up some space, so I dug out my favourite drive-space analysis tool. It's pretty lean and has a great interface, so I thought I would share it here. This is Steffen Gerlach's freeware application for Windows called Scanner. Once the application has scanned your drive, you can drill down through each folder of the sunburst chart to easily identify what has been gobbling up your drive space. Admittedly the initial scanning can take a few minutes, but no more than it takes to grab a cup of coffee. Downloading the latest version and setting up a virtual host for the test site was all as easy as I would usually expect. Then I pulled up the Quick Start Instructions to make sure I didn't make any assumptions. I carefully followed the process, making allowances for my install being on windows localhost, and met with failure after failure. After much searching and reading, it became apparent that my old install of XAMPP required a Perl add-on patch. None of the download files I could find seemed to be the correct version, and since the current XAMPP installation package now includes Perl, I decided it was time to upgrade (see my previous post). 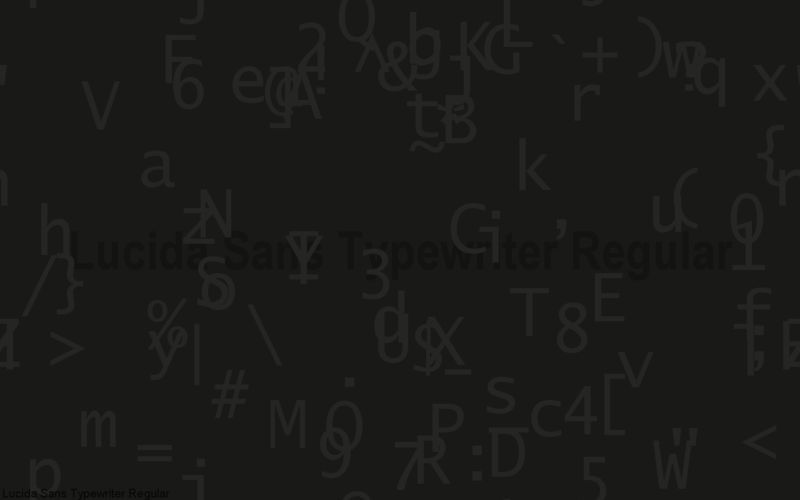 After the XAMPP upgrade, I started the Movable Type install again. More failures eventually pushed me to find a much more helpful installation guide from Brian Cantoni. Due to the multiple sites I have set up on my development PC, I used a different path in Step 3, and I chose to use SQLyog instead of phpMyAdmin for steps 4 - 6. Unfortunately, Cantoni's guide doesn't mention how to handle the config file. Thankfully, you can find that information in Step 2 of this guide on etc. Another helpful hint in etc's guide is to use the MT system check script http://localhost/cgi-bin/mt/mt.cgi before trying to initialise your new install. This is the point, I found that I still hadn't quite cracked it. I had some kind of Perl/mySQL install issue. Your server does not have DBD::mysql installed, or DBD::mysql requires another module that is not installed. The DBD::mysql database driver is required to use MySQL Database. Please consult the installation instructions for help in installing DBD::mysql. I resorted to installing ActiveState Perl to see how that compared. It wasn't the solution, but it did help me identify how to fix the DBD::mysql issue (I have subsequently uninstalled ActiveState). It seems that there was a dll file missing from C:\xampp\perl\site\lib\auto\DBD\mysql that XAMPP had already installed elsewhere on my machine. I copied the file C:\xampp\mysql\bin\libmysql.dll and pasted it into C:\xampp\perl\site\lib\auto\DBD\mysql and finally I had a working installation of Movable Type v4.31 on XAMPP v1.7.2. I like to keep my root folder clean, so on the last install I'd opted for "c:\program files\xampp", but since I'd read that "program files" could cause major PERL problems, this time I installed in "c:\xampp". Installation went pretty smoothly, and I was able to drop in my old extra\httpd-vhosts.conf file with no problems. Then I re-imported the mySQL databases I needed and checked all my development sites were OK. If you Google that error, you'll see a lot of pages stating that "it is caused by a missing curly bracket" or a bad class definition, which was definitely not the case for me. The cause in this instance was that this particular site's code was using Short Open Tags. "...determines whether or not PHP will recognize code between <? and ?> tags as PHP source which should be processed as such. It's been recommended for several years that you not use the short tag "short cut" and instead to use the full <?php and ?> tag combination. With the wide spread use of XML and use of these tags by other languages, the server can become easily confused and end up parsing the wrong code in the wrong context. But because this short cut has been a feature for such a long time, it's currently still supported for backwards compatibility, but we recommend you don't use them." Due to the number of pages using these codes, I opted to update php.ini to allow Short Open Tags, but I fully endorse the above recommendation to use <?php in any new or updated code. Finding the cause and implementing the solution was a simple matter, however I thought I should post a note about it here as the curly bracket comments could confuse some users, and hopefully this will help somebody. The default PHP setting for this directive is "On", (although XAMPP have disabled it in their install), so Short Open Tags will be supported unless your php.ini contains the following line - I'll let you decide if that's good or bad. Last week I posted how useful I'd found the wired SingStar mic's USB adaptor to be outside of the SingStar game. 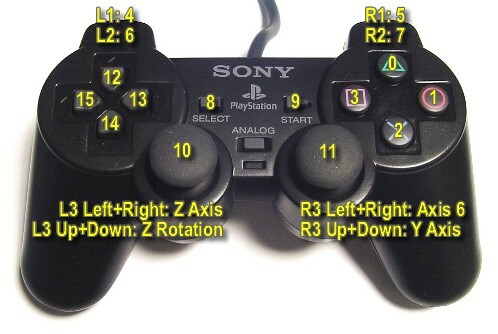 Writing that post got me thinking about the old PS2* controllers and how useful these could be. Like many PS3 owners, I wasn't keen to shell out £35 on a second wireless controller and purchased a PS2/PS3 USB adaptor. 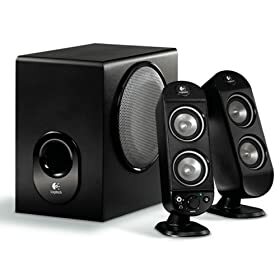 This works pretty well on Little Big Planet or any other games not reliant on SIX-AXIS motion. 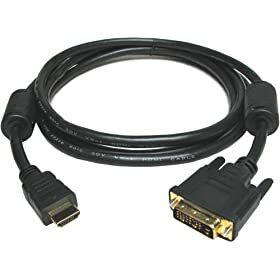 Because I had purchased this adaptor for the PS3, it had not occured to me before now to try plugging this USB adaptor into my PC. I tried this today and was pleased to see it automatically install as "HID-compliant game controller" on both XP and Vista. The next thing I did was fire up TrackMania Nations Forever on the hunch that it would be fun to play with a game controller. The controller was instantly recognised although all actions seemed to be assigned to the buttons on the left side of the controller. I prefer steering on the left and acceleration on the right, so I went into the Inputs configuration. This is the point where things started to get a little confusing. I had no idea which button was Button 0 or 1 or 4, etc. So after a little but of experimentation I put together this handy reference image. I even tried this with an old PS1 controller and it also performed well (apart from the controller's buttons being a little sticky). The only difficulty I found (apart from mapping the buttons) was finding games that support game controller input, TrackMania is the only game I have installed that does. It is nice to play it with a controller though. 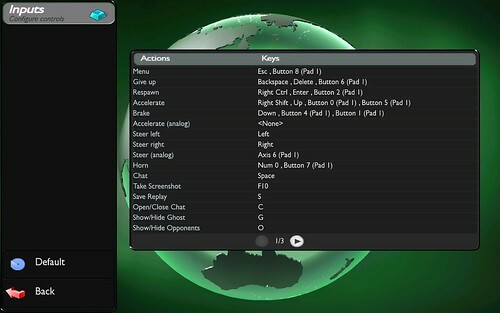 * Connecting a PS3 controller is a completely different process which is nicely addressed by davies lim and HowToGeek, although you map still find the the button map above to be useful. It seems to me that a high percentage of PHP programmers are making a simple mistake in their code that increases the execution time of their scripts. I certainly seem to be frequently fixing the problem in other people's code, whether I am maintaining a website, or using an open source class or plugin, etc. To some, the following two statements might appear to be functionally identical, but in the second statement PHP has to parse the double-quoted content and check for any variables to evaluate before outputting it. If you're thinking, "So what? It's just one line..." then you are not thinking like a programmer. "Expect the unexpected" is one of the first rules of defensive programming. Imagine using this statement in a function or method that is executed many times in one script, or if it's called a few hundred times from within a loop, and maybe on a page which suddenly gets ten times the traffic you expected. All those extra CPU cycles quickly start to add up. Now, think about all the times that static text is used inside your scripts outside of echo statements, because they will be parsed in exactly the same way. It's easy to imagine how this can start making a difference to the resources your site uses. In a nutshell, if you're not evaluating anything in the string, use single quotes. Every now and then I come across a snippet of code which is incredibly useful at the time, but rarely used. The problem with these snippets is that I usually forget the particulars by the next time I need to use it. Today I needed to use such a snippet and luckily for me, I knew exactly where I had last used it and was able to go straight to the source and grab it. This piece of SQL adds a row counter column to the result set. This is handy if you need to add a rank to records on a bulk insert, or create a new sequential key for on-the-fly table joins. This concept can be taken one step further. In this example we update table_one's new_id field with table_two.id sequentially from the row with id value of 151. Obviously this second example will only work where the id values are entirely sequential (no missing rows), but it worked well for the task I had to do and saved me from dumping the data into a temporary table just to be able to join for a one-to-one update. Earlier this month I decided to move pantsonhead.com from it's ancient codebase onto a current CMS platform. The goal was to make it easier to manage, and hopefully spur me into making more frequent posts, and to get some experience with another platform. After a little deliberation and discussion with friends I decided to go with WordPress. With WordPress MU and BuddyPress looking to be quite big in the near future I thought this was a smart choice. I'd tried Joomla! before but didn't have a great experience. ExpressionEngine was also a possibility, I've used it before and liked it a lot and ExpressionEngine 2.0 being built on CodeIgniter sounds great. In the end WordPress won out because it's open-source, because pantsonhead.com is 90% blog, and because the plugin development community seems very active. For me, writing Plugins is an attractive way to work on some bite-sized code projects for fun, and maybe even profit. The conversion to WordPress was fairly painless although I did have to create a couple of plugins to provide the functionality I wanted. I decided to release some of these into wild and the response so far has been quite positive. Activity Sparks is a highly customizable widget to display a sparkline style graph in your sidebar indicate post and/or comment activity. This WordPress plugin leverages Google’s Chart API, so does not require the PHP GDI library. Customization options include Title, size, colour, background transparency, activity granularity and period. RandomText is a handy WordPress plugin that allows you to save, edit and delete categorized text, and inject random text by category into the sidebar (via widget) or pagebody (via template tags). Whether you want to display random trivia, quotes, helpful hints, featured articles, or snippets of html, you can do it all easily with RandomText. RSS Blogroll allows you to link to your favourite blogs via the latest items from their RSS feed. 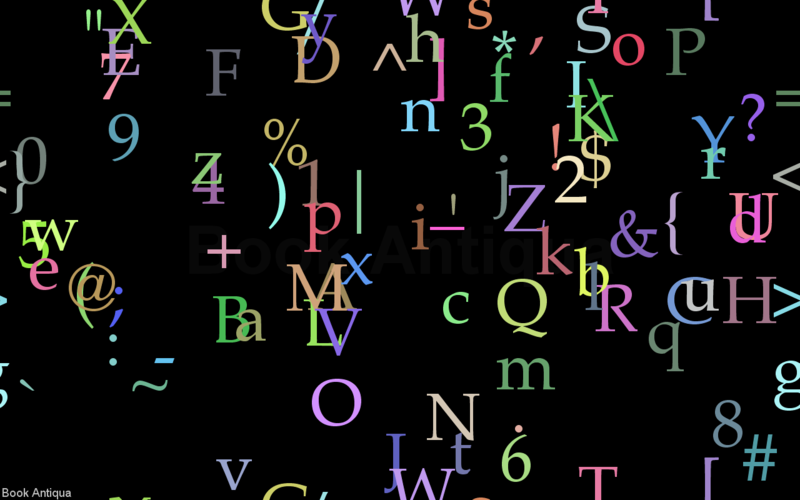 Article titles are much more attention grabbing and will deliver much higher quality traffic. We all hate clicking through to abandoned blogs – displaying article publication dates also lets readers know these are up to date and active sites. RSS Blogroll will create deeplinks to the target sites, which are much more useful for SEO than homepage links. Overall it’s a win-win situation with a better browsing experience for users and the linked sites getting more visitors who are actually interested in their content. I'll be posting any future WordPress plugins on pantsonhead.com. Last week I posted an article about creating an image using RSS + GDI. It featured a fairly simple example that was not always appropriate for the text contained. Yesterday I revisited the concept and produced the following image which feeds off the latest BBC News Headlines. I've made some canny modifications to get the execution time down, but it still really needs short-term caching, and a link to the feed source. It's adequately working with most RSS/Atom feeds tested. I'm feeling a little guilty about not posting anything here for a few weeks, so I thought I'd put this up here since it's fairly developer oriented (even though I posted it 11 months ago on my other site). Now you can get the latest BBC News Headline with a smile, whatever the content (which is sometimes less than appropriate). I also put some related stuff here that you might also find to be a diversion. I’m not finished with this concept yet, so eventually we might see a more refined version. There will come a time when all your problem solving skills will hit a brick wall. These are some simple but effective tips to help kick start the process whether you are debugging, optimizing performance or whatever it is you're working on. I'm a firm believer that nobody can hold everything in their head, this is why I recommend using a whiteboard or notepad to scribble out ideas, notes, lists and diagrams that can help your problem solving. Seeing everything laid out before you can also help give a clearer picture of a problem or reveal relationships you had not considered. Vocally describing a problem to somebody else is a great way to spark ideas. 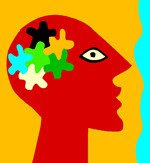 The act of talking about it seems to allow your brain to follow new trains of thought and find new inspiration. It doesn't even matter if the other person fully understands what you're talking about. Inanimate objects don't really work for me, but if nobody else is available then even your cat or dog might help get you back on track. Everybody has a special thinking place where the ideas just seem to flow better. It doesn't really matter where it is, it only matters that you've identified it so that you can use it to your advantage. It could be walking to the local coffee shop, riding a bike, driving home, or walking the dog in the park. For me it's in the shower, I get all my best ideas there and actually write most of these posts in my head in the shower. Sometimes the best approach is to step away from a problem and leave it to background processing. If you've been thinking about something for a large part of the day, your subconcious will keep trying to make sense of it while you sleep. I couldn't count the number of times the answer has suddenly come to me at 3AM. As developers, we often spend time optimising, tweaking or redesigning to increase performance. It's fairly easy to measure performance increases when optimizing code or systems, but it's a lot harder to gauge the effectiveness of User Interface changes. In many cases the UI choices we make are subjective at best. In some cases, our design decisions can actually make things worse, not better. There are some interesting anecdotes about this in this recent post. In order to make sure we are making the right decisions, rather than just a bunch of assumptions, we need to measure the effectiveness of the current implementation in order to compare with the improved version. Depending on what it is that you're changing, this could impact on conversions, page hits, or data collection rates. You'll need to decide the best way to measure the effectiveness of the changes, but without data to measure it, you'll never really know if you're doing it wrong. It seems like a simple idea, but it applies for all optimisation and is often overlooked. A simple rule to follow is to remember to ask "How will we know if this works?" before you implement a change. One of the best ways to increase the reach of your website is through word of mouth. Personal recommendations from existing visitors carry a lot of weight. To make this easier and more frequent, it can be a good idea to give your users a nudge in the right direction with a "Share this with a friend" call to action. Another approach to sharing content is the "Send this to a friend" model where the visitor enters a friends email address and the hosting site send the email on behalf. Many web-savvy visitors will avoid this rather than reveal the email address of a friend. In my opinion it's an out dated model that should only be used for "locked" content or simliar special circumstances. A more powerful way to be recommended is by plugging into social networks or news networks where the link exposure is much greater than one-to-one. An easy way to implement this is via the AddThis.com bookmarking and sharing service buttons. 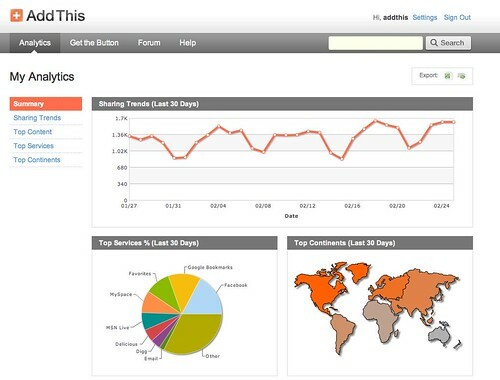 It's a free service that allows a certain amount of customisation and also features analytics of what is being shared. There's a nice introduction video on the tour page. <meta name="title" content="Dolphins rampage through Venice" />. Yesterday I overheard a friend's phonecall with a salesman for an internet listing service. She runs a modest business with her website as the only advertising and bringing in enough customers to keep her booked weeks in advance. The listing service was claiming that they could increase traffic to her site because they specialised in listing companies in her specialised field. I suggested that she should think carefully before throwing her money their way, since her website is fairly well optimised for search engines. As it turned out, the listing service had offered her a one month free trial (which had just expired) and had been allegedly sending traffic her way already. I decided to spend a few minutes helping her evaluate the trial. The first step was to look at their website. Sadly their homepage failed to load as most of the content was blocked by ABP - not a good start. Next we found her listing on their site, mostly content pasted from her homepage, although her business name was spelt incorrectly (twice). By this stage I was feeling underwhelmed. So we decided to check out the traffic they've been sending to her site. 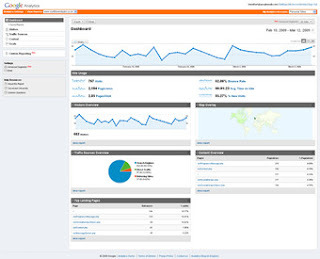 Google Analytics had been in place for some time so we could easily measure the impact. The first thing we did was check the Traffic Sources report. Indeed there were 27 visits in the last month, although they never peaked higher than 2 per day and the bounce rate seemed pretty high to me. I suggested we check on where these visitors were coming from and see if we could find out a little more about them so we set up a Custom Segment where Source contains the listing site's domain. We could see that almost all of the traffic came from London, except for 3 visits from Australia, coincidentally where the business was based. Digging further into the New vs. 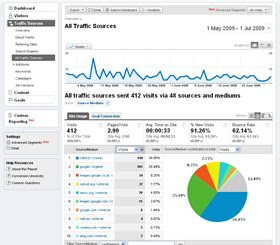 Returning Visitors report showed that all but one of the London visitors was the same person returning every day or so to generate traffic. In my opinion this kind of listing service is a waste of money if you have followed the most basic SEO principals. Needless to say, my friend will not be engaging their services. If you write or maintain code for any number of projects on an ongoing basis, then you should be using a version control system. If don't already use one, then quite simply, you're needlessly working without a net. Shame on you! Rolling back to "clean code"
There are a number of version control systems available with the most common being Concurrent Versions System (CVS) and it's assumed successor Subversion (SVN). Subversion is my preferred system due to it's atomic commits (they either completely succeed or completely fail). If you're working on Microsoft Windows you should check out TortoiseSVN and TortoiseCVS. These free clients integrate into Windows Explorer. TortoiseSVN won the SourceForge.net 2007 Community Choice Award for Best Tool or Utility for Developers. This 20 minute video from videolectures.net is good food for thought. It's got some great anecdotes about some big industry players and how hard it is to guess how users will react to UI changes. Well worth watching when you get a chance.